Sharjah (UAE), June 24 2018 - Under the direction of His Highness Sheikh Dr. Sultan bin Mohamed Al Qasimi, Supreme Council Member and Ruler of Sharjah, and follow-up of Sheikh Ahmed bin Sultan Al Qasimi, Deputy Ruler of Sharjah and Chairman of Sharjah Oil Council, Sharjah National Oil Corporation (SNOC) has announced the commissioning of an LPG Blending and Loading project in Sharjah’s Sajaa Complex. Shaikh Sultan bin Ahmed Al Qasimi, Chairman of SNOC, emphasized that the step stems from the Corporation’s keenness to meet the growing local demand for LPG (liquefied petroleum gas) and to implement relevant projects. He clarified that the new project was a result of a 2016 study, which confirmed the rising trend of LPG demand in the domestic market, as well as in the region. According to Sheikh Sultan bin Ahmed Al Qasimi, SNOC has been, since the 1980’s, producing the components of LPG (Propane & Butane) for export only, due to the attractive international markets. However, the rising local demand for LPG is presenting SNOC with an opportunity to diversify into the downstream business to blend and sell locally its production of Propane and Butane as an additional alternative to export. 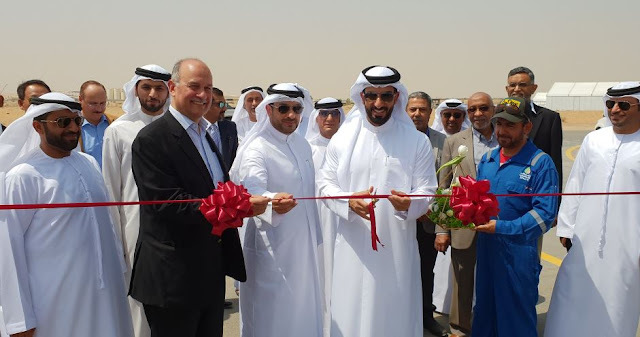 Hatem Al-Mosa, CEO of SNOC, said: "The Sajaa LPG project is a crucial addition to SNOC’s product portfolio and will make Sharjah a key provider of LPG." He added: "This represents an important step in achieving our vision to capitalize on our existing assets to create new business through providing a secure and dependable energy supply to our domestic market." The commissioned phase of the project includes blending facilities, road tanker loading facilities and utilizing existing storage capacity. The new infrastructure is designed to handle the future expansion of the project. The project will be operated in a fully automated mode, with world-class technical and safety standards. Since its establishment in 2010, SNOC has been actively involved in several ambitious development programmes covering exploration, LNG import, and regasification, in addition to strategic gas storage infrastructure that will drive the corporation to a new era. The startup of LPG project opens the door to SNOC to further expand into a host of potentially related projects, for which conceptual studies are already in progress. SNOC owns and operates the Sajaa concession, originally owned and operated by AMOCO/BP. The Sajaa asset, which includes the largest gas field discovered in the Northern Emirates and is in operation since early 1980s, was the main supplier of gas in the Northern Emirates, peaking close to 900 million cubic feet per day [25.5 mcm] and meeting all of Sharjah’s demand and most of Dubai's during the 1980’s and 90’s.